a few weeks ago I came across a teacher's blog who talked about how she chose a word for the year. She gave a number of examples from past years but this one really spoke to me. It still does. I haven't really instituted any upgrades in my life yet because it was the last few weeks of summer and I had fallen into a pattern of lazy days. I did manage to go to the gym regularly, so that was definitely an upgrade. This week though, school starts. 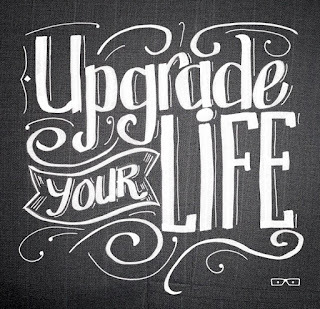 So I think it is time to upgrade my life and I just need to figure out what that looks like. No whining or complaining about anything, but especially the kids. Entering grades every week, no matter what. My ultimate goal with my work upgrades is to leave school at the end of the day/end of the week knowing that everything is done and I can relax until I return. Yoga/stretching. I need to incorporate this into my evenings. My body will thank me. Walking - hitting my step goal every day. I know this is an arbitrary number calculated by an inanimate object, but it is at least something to shoot for. Take the stairs at school whenever possible. If the kids aren't around and I'm not in pain, the stairs it will be. Consider signing up for a race/event to focus my energies on. Monitor the money, but do not stress over it. Keep spending to a minimum, but again, don't stress over it. Upgrades to my Ph.D.: this is where things get hairy. We were trying to refinance the house to get some money out. This would have allowed me to pay off what I owe Walden and start the new quarter in August. However, in a real case of irony, we may not be able to refinance because of my student loans. Hollah!!!! But this has really made me stop and think, why am I fighting to finish this? I started this for a very specific reason in Hawaii and that reason is now pretty much gone. I would love to finish it, but I'm not going to bang my head up against a wall repeatedly to get it done. So, my attitude at this point is, if we get the refinance I will pay off Walden and I have given myself 1 year to finish it. That means a whole lot of work on my part. If we don't get the refinance, I will have to reconsider this and determine the next steps. I can take another quarter off without penalty. I know it will work out one way or the other, I will just need to be open to what happens. So there you have it. 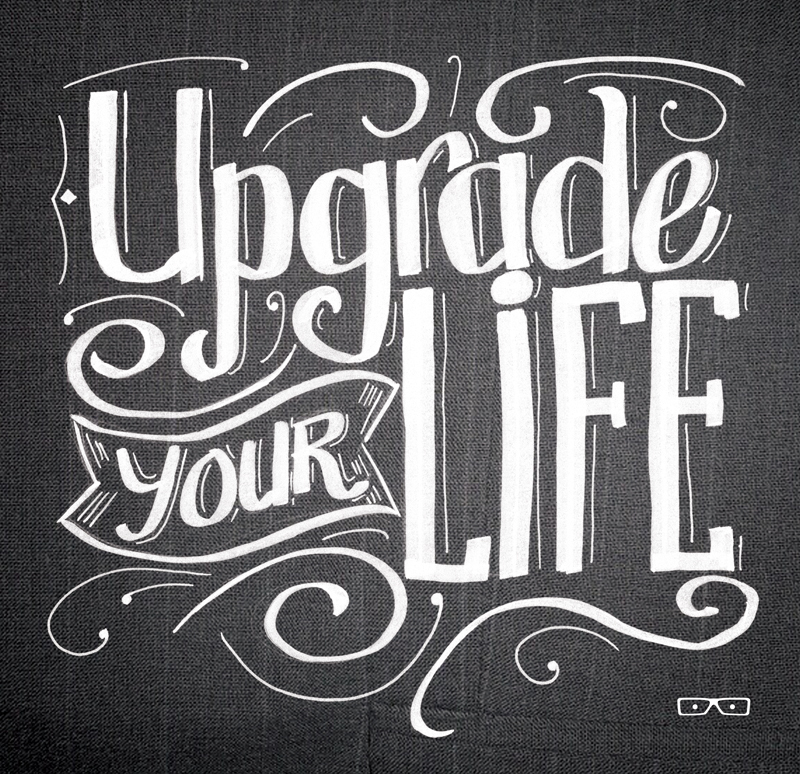 I'm starting my upgraded life today by prepping so that I can do the things I want to do to upgrade my life. I'm excited and ready to take things up a notch.